Heat exchanger guaranteed for life! The ViCount fog machine is one of the most capable foggers on the market. It creates an oil based fog effect that is resistant to temperatures of up to almost 400°F making it the perfect fog generator for hot fire training. The fog is also considerably more persistent than water based fog machines when used for positive pressure ventilation training. As well as creating a more persistent fog the ViCount uses far less fog chemical to achieve the same visibility obscuration. 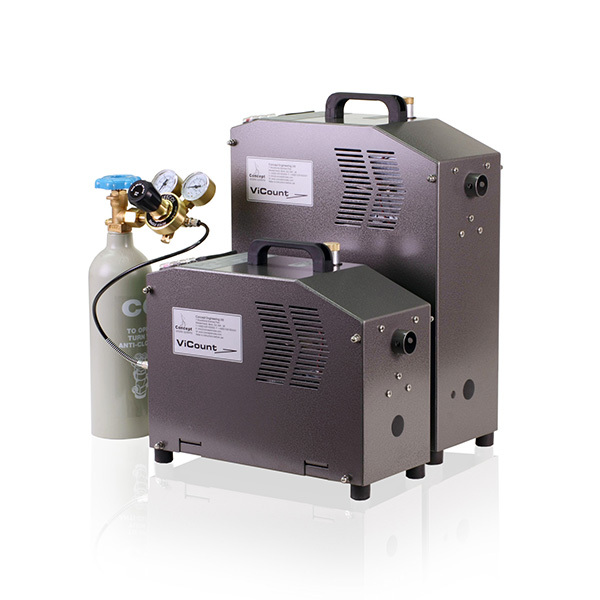 Often users of the ViCount fog machine will find that their running costs are cut by up to 75%, compared to water based fog systems they previously used. All ViCount’s come with an automatic purging system that cleans the precision machined heat exchanger block after every operation. This is one of the reasons that the ViCount heat exchanger block is guaranteed for life!